Ovarian and cervical cancers cause a host of different symptoms. Many are vague, or similar to other conditions. There are several, however, that should send you straight to your gynecologist for a checkup. While they can mean many things besides cancer, they definitely need to be checked out, according to obstetrician-gynecologist Mariam AlHilli, MD. In 90 percent of cases, doctors identify a benign reason for post-menopausal bleeding. For the remaining 10 percent, however, this type of bleeding is linked to endometrial cancer, Dr. AlHilli says. It’s best to have post-menopausal bleeding evaluated. It could also be a sign of cervical cancer. 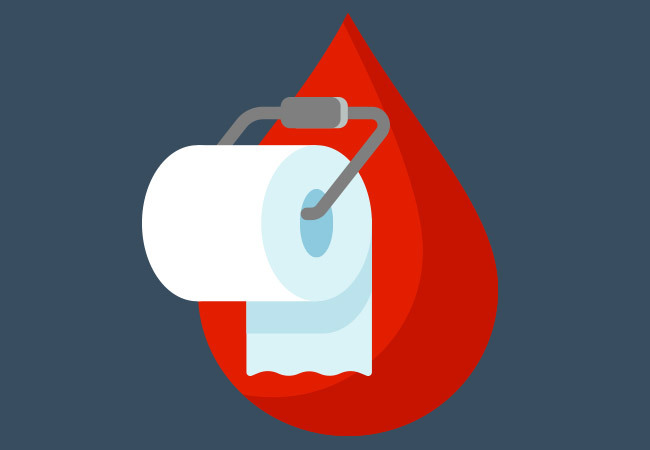 Any bleeding that is outside what’s normal for you should raise a red flag for either endometrial or cervical cancer. Persistent abdominal pain and discomfort can also be a potential sign of ovarian cancer. Gas, indigestion, pressure, bloating and cramps can indicate ovarian cancer, she says. For women with ovarian cancer, there are many reasons for weight gain. Tumor size is one factor. Tumors frequently go undiagnosed until they’re relatively large. Sometimes fluid builds up in the abdomen. With ovarian cancer, women sometimes lose their appetite. If you suddenly lose more than 10 pounds without changing your diet or increasing exercise, consult your doctor. In many cases, the lack of desire is a result of how the cancer impacts your metabolism. Overall, symptoms that indicate ovarian cancer are often difficult to diagnose, Dr. AlHilli says. For example, vague abdominal pain, upper abdominal discomfort or indigestion, nausea or vomiting, and constipation can also indicate a problem. Many symptoms are similar to those from other conditions. To diagnose whether your symptoms are benign or cancerous, your doctor will likely perform a series of tests, Dr. AlHilli says. Many of these signs and symptoms are temporary and won’t amount to anything. But it’s best to let your doctor examine you to make sure. Early treatment is critical for these types of cancer. So it’s dangerous to ignore the signs.